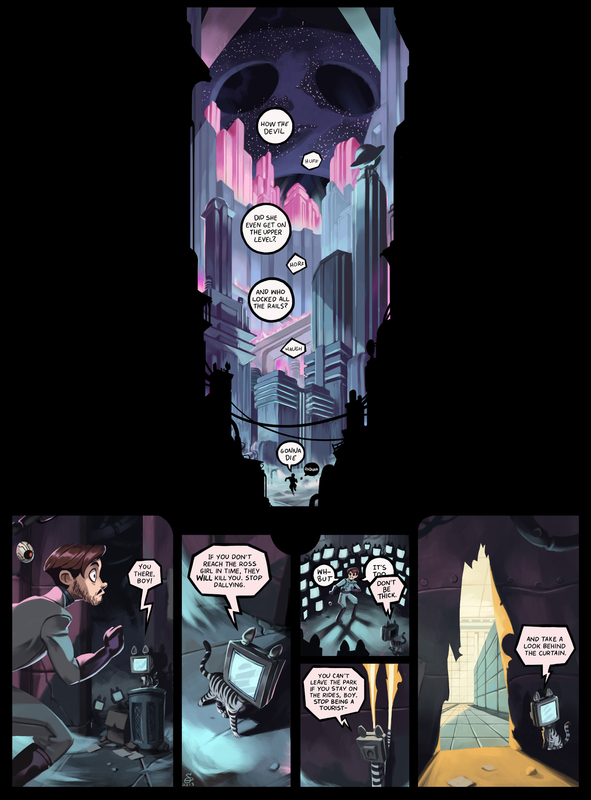 Funny story: I’d been working on a totally different page (from the one above) up until a week and a half ago, when I realized that the pacing of the story would be thrown off if it went up in the original order. In a panic, I scripted, pencilled and painted this new page in that time, so I’m pretty proud of myself for cranking out a Dark Science page so fast, even if technically it extended the total time between updates. All that said, the original page I was working on will go up next pretty soon, as that one’s already partially colored! I’ve also put a wordless version of the first panel up as a donation wallpaper! As usual, a donation of any amount gets you access to all of the content!